With so many options out there, how do you choose the one that’s right for you and your rig? Well, it depends on the level of protection you’re looking for. If you’re looking for an inexpensive option that provides long-lasting protection, then a spray-on liner is the one for you. Or, if you want the more personalized look that comes with a permanent protective layer, a roll-on liner is what you’re looking for. If you’ve ever painted your house, you can make easy work of a roll-on liner. The perfect DIY project, these top-notch liners are one way to protect your pickup’s bed while adding a little of your own personal flair. 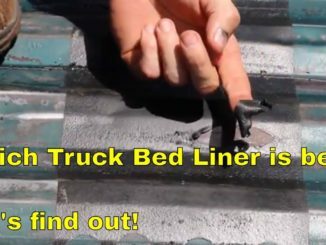 Al’s Liner DIY Truck Bed Roll-On Liner Kit, for example, makes sure that moisture and corrosion are nothing to worry about. They also provide unrivaled UV-protection that’s good for up to 10 years – even if it’s bombarded with constant sun exposure. This is a roll-on liner you can depend on for years to come. Also quick and easy to install, spray-on liners provide that extra layer of defense your bed sorely needs. 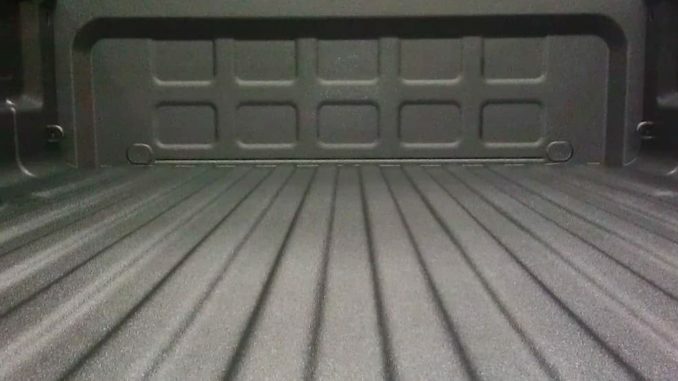 A non-skid, gripping surface helps ensure your cargo stays in place, even when you’re travelling over rough terrain. Good for 7-10 years, Al’s Liner DIY Truck Bed Spray-On Liner Kit offers a wide assortment of color options, texture and thickness, and exceeds the look of most professional bed liners thanks to the innovative and durable urethane/acrylic material.